A move to transfer prison-bound inmates from county jails has not reduced ongoing overcrowding at Tulsa County jail. The last time the Tulsa jail population dipped below the jail’s rated capacity of 1,700 inmates was more than a month ago, on July 18, 2014. While Tulsa County jail remains crowded, inmates at state prisons are also crowded together in increasing numbers as a result of a recent jail-to-prison surge Dept. of Corrections officials launched in June, 2014. Oklahomawatch.org reports that more than half of the state’s prisons were filled beyond capacity in the first two months of August. The numbers do not include low-security Community Corrections facilities. The combined population at Oklahoma prisons in early August, 2014 was 105 percent of the facilities’ combined rated capacity. Even including numbers from less-crowded Community Corrections facilities, the Oklahoma prison system this month was the most over capacity since at least 2007, Oklahomawatch.org reported. The total number of inmates held in Oklahoma prisons increased by 8 percent in the past year – to 16,668 inmates in August, 2014. Oklahoma Dept. of Corrections officials pitched the move to shuffle recently convicted inmates from county jails to state prisons as a cost-cutting measure. The state pays counties for every day an inmate is held in a county jail awaiting transfer after being sentenced to a state prison. 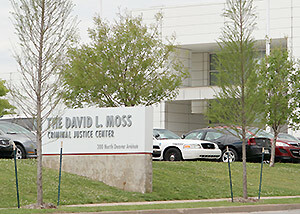 The surge in Oklahoma prison intakes followed a lawsuit in which the Tulsa County Sheriffs Office tried to leverage court authority to more quickly move prison-bound inmates out of the Tulsa jail – officially dubbed the David L. Moss Criminal Justice Center. In April, the Tulsa World reported the Tulsa jail population could soon reach 2,000, which is 120 percent of the jail’s rated capacity. Tulsa County Sheriff Stanley Glanz dropped the lawsuit in June after state corrections officials announced plans to expedite transfer of prison-bound inmates out of county jails. Average weekly inmate populations at Tulsa County jail dropped below the jail’s rated 1,700-inmate capacity for three consecutive weeks shortly after the Dept. of Corrections intake surge. Those three weeks in late June and early July, however, were the only three weeks in the past four months in which the average weekly population at the Tulsa jail did not exceed the jail’s rated capacity. The jail has held 100 or more inmates more than it is rated to house six times in the past month. 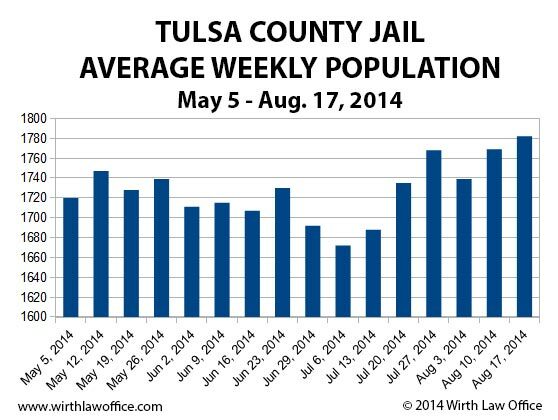 Otherwise, only once in the past four months – on May 27, 2014 – had the Tulsa jail population exceeded 1,800. The recent high water marks pushed the Tulsa jail population up to around 106 percent of rated capacity. In his now dismissed lawsuit, Glanz said the actual capacity of the Tulsa jail is even less than the rated capacity because not all cells can be used at all times. Male and female inmates must be segregated, some cells are periodically out of service of maintenance, and security concerns limit which inmates can be housed in close proximity. The sheriff said the effective capacity of the Tulsa jail is closer to 1,650 inmates. According to Tulsa County jail rosters posted online, immigration detainees continue to comprise approximately the same proportion of the jails population as the number of inmates in custody beyond the jail’s rated capacity. In other words, if the jail did not serve as an Immigration and Customs Enforcement holding facility, it might not be overcrowded. A computer-assisted analysis of the reasons 1,800 inmates were locked inside Tulsa jail at 6 a.m. Monday, Aug. 18 indicated about 100 were detained solely under the authority of ICE officials. The David L. Moss Criminal Justice Center is the only jail in the region used to hold ICE detainees awaiting immigration-related legal proceedings. The Tulsa County Sheriff’s Office is also one of a very few law enforcement agencies nationwide contracted to act as immigration officials under ICE supervision. Deputies located in the Tulsa jail can inquire about immigration status, and file immigration enforcement documents. Wirth Law Office identified 187 inmates for which ICE holds were among the listed reasons for their incarceration. Of those, ICE holds were listed as the only reason 100 were in jail, according to Wirth Law Office’s data analysis. Most the ICE detainees were arrested recently, but few with ICE holds as the only listed reason they are in jail were arrested four months previously. One inmate appeared to remain in the county jail as an ICE detainee nearly a year after he was arrested. Three arrested in December remained incarcerated eight months later on holds for ICE and for the U.S. Marshall Service. Federal immigration officials and the U.S. Marshall Service pay local jails a daily fee to house federal detainees. Tulsa voters in April, 2014, approved a 15-year, ¼-cent sales tax increase to raise about $10 million to add new housing pods at the current jail. Media reports have indicated two of the new pods would each add 94 beds to the jail. Two of the pods will house general population inmates, one will house juvenile and the other will serve as a mental health facility. It remains uncertain how many inmates would be housed in the mental health pod. The juvenile pod is expected to house about 50 inmates. Construction is tentatively set to begin in 2015, with completion planned in 2017. While Tulsa voters approved enough new construction to house more inmates than recent peak populations, Oklahoma corrections officials have a different idea that could reduce crowding. They might just explain it away. An audit report suggested more accurate counting of inmates could trigger a state law that requires the Pardon and Parole Board to weigh the release of non-violent inmates nearing the end of their sentences when prisons are near their capacity. Oklahomawatch.org reported a DOC spokesman said the law would only be triggered when all state prisons are at capacity. As many as 17,000 California inmates may be eligible for release after a federal judge capped prison populations in the state at 143 percent of the system’s capacity, according to the LA Times. Recent media reports have indicated continued crowding at the Tulsa jail means some inmates must sleep on the floor in plastic devices described as “boats” that resemble a snow sled. A prison reform advocate told OklahomaWatch.org prisoners in overcrowded Oklahoma prisons were served reduced portions at meal time. A DOC spokesman denied that meal portions had been reduced. Crowding at jails and prisons is widely recognized as increasing risk for inmates and correctional employees alike. Inmates can face the risk of conflict with other inmates when normal controls to separate dangerous inmates break down. Access to rehabilitation programs and medical care may be reduced or delayed by crowding. Jail officials also face several lawsuits in which inmates or surviving families of inmates allege neglect by Tulsa jail authorities and jail medical providers. If you or a family member has suffered an injury as the result of abuse by other inmates or jailers, or have suffered medical harm as the result of neglect at the jail, you might be entitled to compensation. Jail injury cases can be difficult to prove. Contact a skilled Tulsa jail injury attorney at Wirth Law Office to find out if your situation is one in which jail operators may be liable. 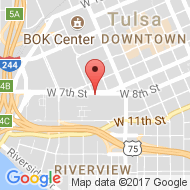 Wirth Law Office can also provide services of a Tulsa immigration attorney to assist individuals detained on ICE holds in Tulsa County jail. 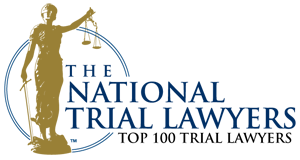 For a free consultation with a Tulsa jail injury attorney, contact Wirth Law Office at (918) 879-1681. You may also send your question using the form at the top of this page. Could ICE Money Lead to Ethnic Profiling in Oklahoma?